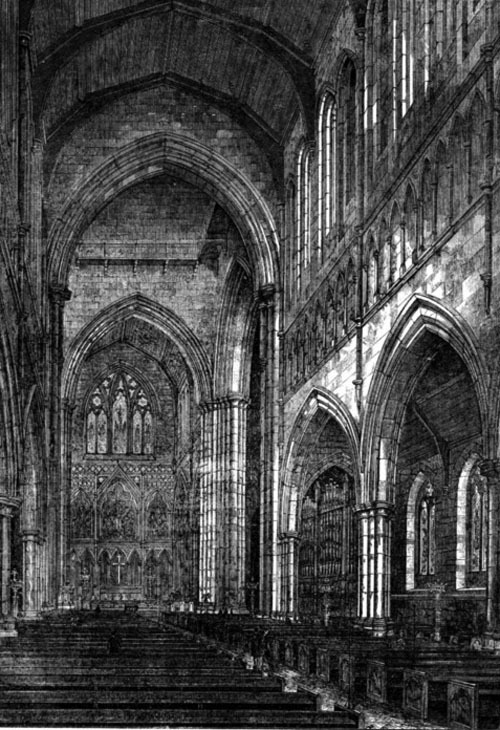 The Architectural style of the Cathedral is best described as Gothic transitional, being partly Early English and partly Decorated. 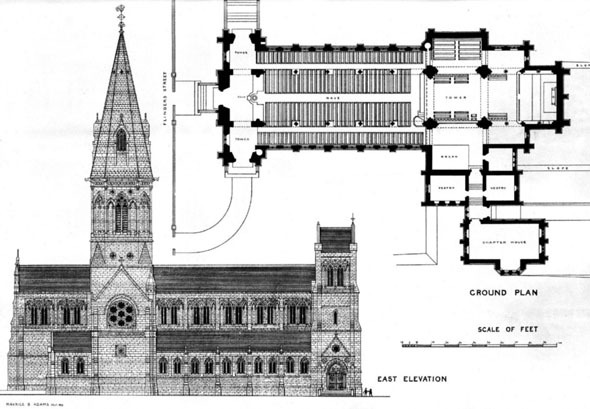 It was designed by the distinguished English architect William Butterfield, who was noted for his ecclesiastical work, and the foundation stone was laid in 1880. 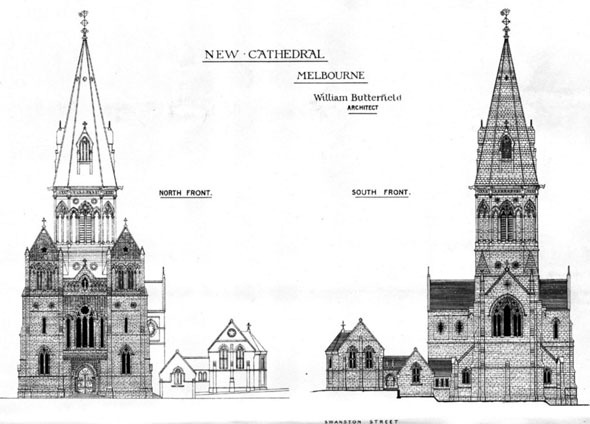 Butterfield steadfastly refused to visit Melbourne and the building program was beset with all the problems that arise from management by remote control. He resigned from the project briefly in 1882 and finally in 1884, and the building was completed under the supervision of Joseph Reed, who designed many of Melbourne’s public buildings. Nonetheless, St Paul’s remains Butterfield’s final masterpiece.